Elaine Pofeldt is a journalist who has contributed to Forbes.com, CNBC, INC, and Money Magazine among others and is the author of the brilliant “The Million-Dollar, One-person Business: Make Great Money, Work the way you like, have the life you want”. It’s brand new (published at the start of this month), and all about scaling revenue without scaling staff. 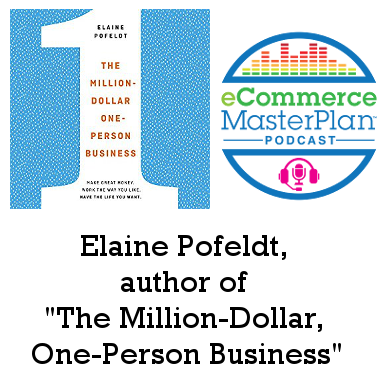 I was introduced to Elaine last year by past podcast guest, funnel genius, and example in the book – Dan Faggella (episode 108), who described Elaine as “one of the coolest “small biz” people I know”. 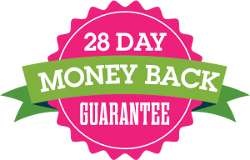 I know a lot of you are looking to grow your business in a very lean way, not least to avoid the headaches and financial commitment of hiring a team. So when I heard about Elaine’s upcoming book she was an obvious addition to our January Growth Series. In most countries, the majority of businesses are one-person businesses. Elaine became interested in the challenges that one-person businesses face, such as access to healthcare and a social safety net. It was in the back of her mind for years on how to solve these challenges, and one day when she was writing a blog for Forbes, she came across a US census statistic showing that there were many sole proprietorships that were breaking one million dollars in revenue. She used the information to write a post, which generated a tremendous response, so she invited those sole proprietorships to contact her so she could glean more information. They did, and she used the knowledge she gained to write the book. Owners of one-person businesses are not selfish people who live alone and never talk to others or work with others. They’re very collaborative, but they work in new ways that are enabled by the digital economy. They use freelancers and contractors, and they find people on Upwork to collaborate with. They are using automation to extend what one person can do and working more efficiently in the time that they have. They are contributing to the economy as much as an employer, simply in a different way. According to statistics from the House of Commons, out of the 5.5 million businesses in the UK, 4.1 million have no employees. In the USA, the vast majority of businesses are one-person businesses. It’s not a small niche, but up until now, it’s been a neglected niche. Elaine recommends that you don’t necessarily start out with the goal of having a one-person business, but instead let the business take on a life of its own. The most successful entrepreneurs Elaine interviewed found something they were interested enough in to work on every day and discuss with customers every day. It doesn’t have to be your life passion, but it does have to generate sustained interest. Listen to hear an example of finding the intersection between what you’re interested in and what the market wants. Your business won’t happen overnight. Instead of quitting your day job, Elaine advises doing your business on the side for awhile, then making an economic decision on whether or not it can sustain you. This also depends on the stage of life that you’re in. A college student who is still living at home can perhaps afford to jump into a new business with both feet. Someone with dependents to feed may want to run their business on the side until they have the confidence that it can support their family and cover their overhead. 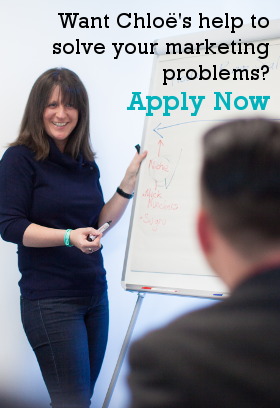 Listen to learn why Elaine recommends testing your new business for 6-12 months. Use contractors and freelancers that you have a trusting bond with. Expand your network. Remember that you get what you pay for, so don’t try to underpay contractors and freelancers. Make sure whoever you’re working with is reliable and invested in the growth of your business. Listen to learn about labor law complications. Entrepreneurs must not neglect the math. Elaine strongly advises anyone who is thinking about starting a business to find a very good accountant to sit down with and work out the numbers. Reach out to others you know who are running one-person businesses. Reach out to people in your own industry, as businesses are very industry-specific. Reach out to the most successful people you can and ask them for advice. They’ve fine-tuned their business to run very efficiently. 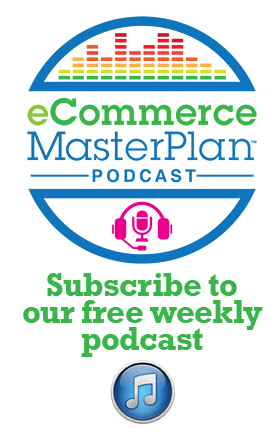 Listen to learn why efficiency is the key to generating high revenue. Elaine will be spreading the word about her book in 2018. She’s hoping for many opportunities to meet people and see what’s been helpful to them and where she can plunge deeper into the topic more in the future. She’d also like to interview more million-dollar, one-person businesses, so if that’s you, please feel free to contact her. Think about where you excel and how you can leverage what you know and what you’re good at. Find something that fits your personality, and something you can work on every day without getting tired of it.